All stocks are traded on the stock market through stock exchanges which act as the intermediary between two traders or a company and the trader. For making the transaction easier everyone the stock exchange operates through stock brokers, who are licensed professionals within brokerage firms. A person interested in buying stocks of any company, approaches a stock broker and places an order with them which is in turn executed buy them through the stock exchange. For facilitation of this trade in stocks the broker charges a small commission, which is termed brokerage. The stock brokerage may be in the form of a fixed fee for the trade or a percentage of the total value of the stock trade transaction. The goals for the investment decide whether stock purchase is for trading purpose or investment purpose. The technical difference between both the terms is based on the time period for which the stock is held. Investing in stock is buying stocks and holding them for reasonably long time periods, as also, gaining through increase in the prices of the stocks and receipt of dividends. Trading refers to purchase of stock for holding for a short period of time, mainly with the aim of utilizing the volatility in stock prices to make quick gains. The target stock is one which is expected to experience a price rise and is purchased at a low, or vice versa. The buyer keeps in mind a target sale price for the stock, and places an order for the stock to be sold when it touches the expected maximum price. To avoid large losses resulting out of volatility in the stock price, most traders work on a stop loss, in case contrary to their expectations, the stock price starts dropping, instead of rising. A stop loss is activated at a predefined stock price, which is the maximum appetite for risk a trader determines for a particular stock or trade. As the name denotes, whenever the stock starts falling and touches the stop loss figure, the stock is sold thereby protecting the trader from extensive and unsustainable losses, due to volatility and unpredictability, inherent in stock markets. A trader in stocks is stopped from having a great loss through this safety mechanism. The stop loss is decided by each stock trader, on the basis of the nature of the stock, the appetite for risk, as well as, the inherent value of the stock, therefore, this val ue may differ for every stock trader. A stock trader may decide to go long or go short with a stock. Many people new to the stock market misunderstand these terms mostly, taking them to mean the time period a person stays invested in a stock, long term or short term. The meaning of these terms is absolutely different, as it has nothing to do with the time period for which the stocks are held. These terms are mostly utilized only within short term or intraday trading, wherein, going long refers to the normal stock transaction of purchasing a stock at a low price and selling the stock, when it touches a higher price. Going short denotes the exact opposite of this transaction, wherein, a stock trader sells a stock at an extreme high, with the expectation that the stock price is about to experience a fall, buying it when the stock actually falls and touches a predefined price. Therefore, the stock market offers this innovative option of selling a stock which you do not own, and buying it at a later time period to complete the transaction. This transaction carries much more risk as the movement of the stock has to be forecast very precisely, considering that the time allowed for purchase of stock is limited. Therefore, application of stop loss in this type of stock transaction, becomes an important safety measure to be implemented diligently, to avoid unsustainable losses. Stock markets are extremely volatile with stock prices undergoing changes within seconds, and the stocks in demand experiencing large volumes constantly having erratic demand-supply structure, impacting the availability of the stock. 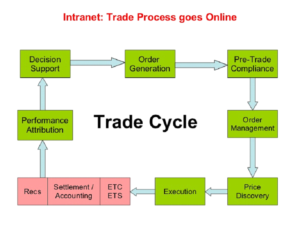 Whenever, a trader places a purchase or sales order for a stock, due to these fluctuations in price and stock availability, the transaction may not be completed in one stroke. When an order is processed completely, at one go, it is known as a complete fill. Iner has been fulfilled it is termed as a partial fill. For example, when a trader places an order for hundred shares of a stock for $10 each and all hundred have been provided to him, it is a complete fill, but supposing only 60 shares are provided due to non-availability of further stocks or due to the price having risen, it is a partial fill. 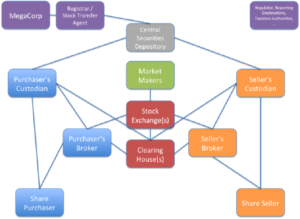 The balance transaction is completed subsequently, when the conditions are met, or stock is available. 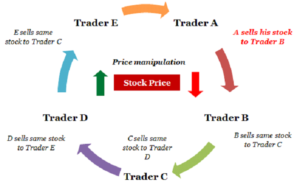 The trader may order the purchase of stocks at market price, in which case, the order is executed at whatever the current market price, this may also result in different lots of stock being purchased at different prices due to extreme volatility, impacting stock prices every second. However, when a trader puts in an order for a stock with a fixed price the order is executed in different lots, if the stock is not freely available, whenever the stock touches that price and becomes available for purchase. The same is applicable for sales of stock at market price happening at one go, whatever maybe the applicable price available in th e stock market. For fixed price sales the sale is initiated whenever the stock touches the given price and depends upon the demand for the stock, whether it is sold at one go or in smaller lots. The price at which a stock is being sold on the stock market is called the ask. This is the asking price for the stock by the stockholder. The price that the buyer of a stock is willing to pay for it, is called the bid. The bidding price of a stock is the amount of value a buyer reposes in the stock and is willing to pay for it. 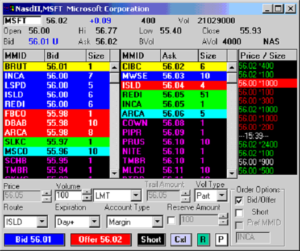 Trading can be further divided into day trading and swing trading. Day trading of stock is also referred to as intraday, it is the buying and selling of a stock within the same day and is therefore, a very short term position. Swing trading, on the other hand, is based on extensive analysis of a stock through technical charts, financials, as also, other internal and external factors which may impact the particular stock, and the stock sector. The swing trader picks stocks which exhibit a tendency to swing either upward or downward. 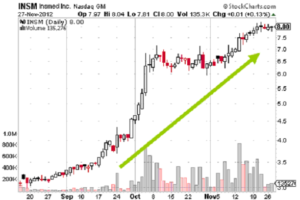 The charts indicate a stock is ready to make a decisive move either way. 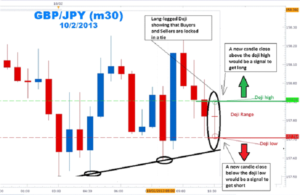 The expert and experienced professional traders, are able to accurately identify the signs indicating such movement. Therefore, they pick the stocks at the right moment, successfully exploiting the stock trend by making large profits through taking positions on such stocks. Exploiting stocks through swing trading affords greater returns than intraday stock trading, however, the turnover is less than intraday, as there are daily profitable stock trades in intraday trading. Swing traders identify an upcoming stock trend, as well as accurately predict the beginning and end of the trend, thereby riding the stock trend from beginning to end and maximizing profitability through optimal returns on trade of such stocks. When the identified trend is sharp and predicted for a very short duration, the expert stock traders take intraday positions on such stocks, to benefit from these short term stock trends. At Beat any Investment, our experts are trained to accurately identify the stocks indicating large upcoming s wings, therefore ensuring that our clients can avail the benefits of exceptional results, available through short term stock trading, by allocation of a certain percentage of their investment towards this. Trading in stocks can effectively beat any other mode of investment, in terms of quick and large returns. Considering the fact, that the turnover is regular and returns immediate, expert traders have the capability to make this investment option relatively risk free by accurately identifying the right stocks, and further minimizing risk by adequate diversification even in day trading. Expertise along with experience, as well as technical tools available for perfect predictions of trends, to optimize the chance of maximizing profits, as well as minimizing losses, through effective use of analysis and safety tools such as accurate stop losses, simultaneously. Technical analysis charts exhibit signs that a stock may not be progressing in the expected direction enabling immediate control measures through prompt action. Therefore, it is clear that the stock intraday trading option and swing trading are very lucrative investment options, which are difficult to master being extremely volatile and inherently high risk, but with expert guidance can prove to be extremely useful for availing exceptional returns through stock trading. Our experts are available round the clock, to guide you through the ups and downs of stock trading, to demonstrate how to perfectly exploit the ups, as well as the downs, for profitable returns. We enjoy riding stock trends and Leave no trend unexploited is our motto.